They still don't work. Even after the patch. I did the validator. And the only file that's missing is OrangeEmu.dll. I don't know if it has anything to do with the mods. But I need clarification. Does the missing file have anything to do with mods? And if it doesn't, will there be a fix to the Seasons DL? Because my sister and my cousin would really like to have Mods/CC. Because you need to update the mods and CC. Patches from EA update just the game. 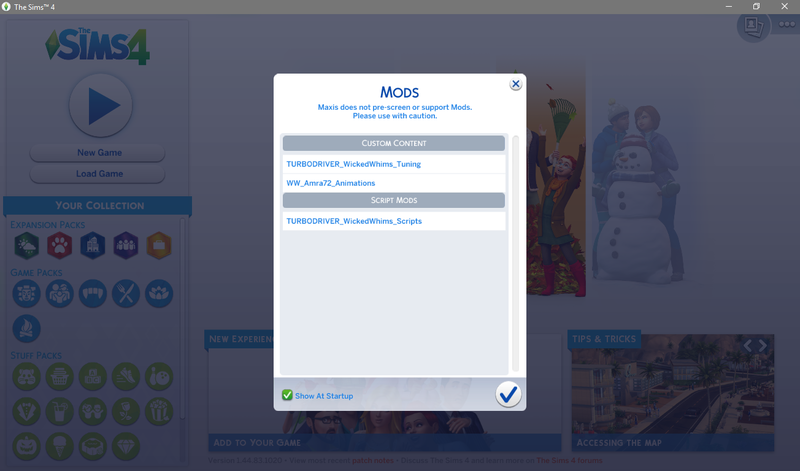 SimsVIP has a list of broken/updated mods, CC can be batch fixed with Sims 4 Studio. anadius1 wrote: Because you need to update the mods and CC. Patches from EA update just the game. 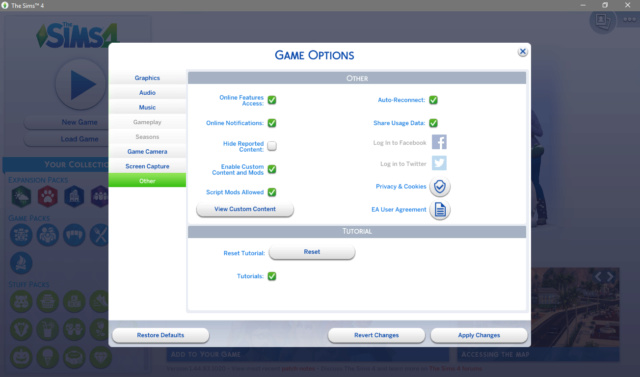 SimsVIP has a list of broken/updated mods, CC can be batch fixed with Sims 4 Studio. I've seen one of the mods installed in my game on that list as "Updated" yet, the trait doesn't show up. When the mod says "updated, it means that the mod needed an update to run with the new expansion. Follow the list, or better yet. Take all your mods out and start searching for them from the places you downloaded them, most will post on the description if the mod has been updated to be compatible with Seasons. For the rest of your Custom Content: Download the latest version of Sims 4 Studio, they have Windows and Mac versions, download the one you need. Open Sims 4 Studio and under the tab: Content Management go to batch fixes and run all the batch fixes available for CAS and the ones available for objects; remember that Sims 4 Studio is only for objects and CAS items like clothing, hair, tattoos, makeup, etc. Script mods, tuning mods and any mod that changes game play needs to be updated the old fashion way: search for the mod and substitute. I hope this helps! Okay, so I've tried fixing it with S4S, the CCs still don't pop up. I've followed all the instructions. If I tried fixing it again, it just says it's already fixed. And I tried installing a mod that was updated YESTERDAY, and it still doesn't pop up. Do you have any other suggestions? Did you enable them in options? IDK then. Paste a path to your '.package' mod file that you installed. And maybe a link to it so I can test it myself. The only other thing that I can think of, if you have allowed CC and script mods in your game UI is a conflict between 2 or more mods. Try testing that mod by itself in a brand new game, not a save and see if it works. anadius1 wrote: IDK then. Paste a path to your '.package' mod file that you installed. And maybe a link to it so I can test it myself. I just tested this to check if there's a problem with my game, just DL the WickedWhims mod. My Mods folder doesn't have the "Resource.cfg". Do you think that's the problem? Where do I input the code? Just create a text file. Open notepad -> paste the "code" -> save as Resource.cfg. Is there something wrong if it still doesn't work? @michelybonitinha wrote: And the only file that's missing is OrangeEmu.dll. In other news, have you been able to fix that issue with the OrangeEmu.dll? The file being marked as missing most likely means that your antivirus deleted the file. Make sure to configure exclusion locations in your antivirus (= add the location of where you installed the game, to the "exclusions" or "ignore list" of your anti-virus, so that the program doesn't target the location anymore).